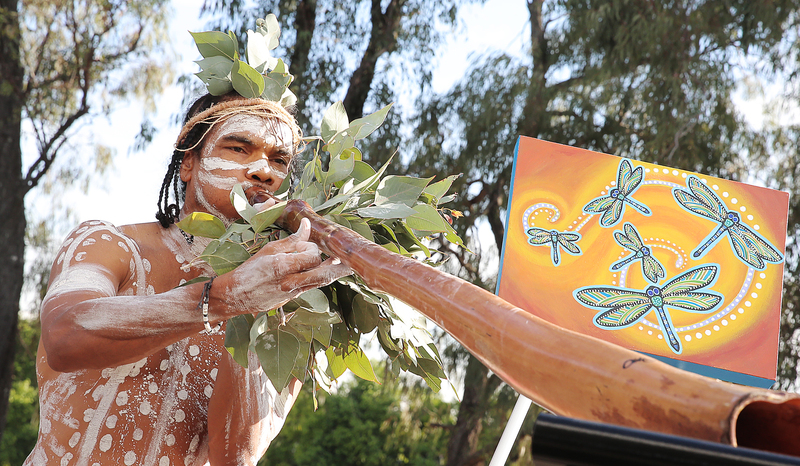 Are you our next Aboriginal health leader? We’re ramping up our efforts to close the gap. Western Sydney Local Health District is on the hunt for two talented individuals to lead western Sydney’s Aboriginal health strategy into the future. The search is going as far as the nation’s states and territories to ensure the best applicants are selected. The health district has had a long-standing commitment to closing the gap on Aboriginal health matters and intends to ramp up its efforts with the new recruits. Just this week the $1 billion Westmead Redevelopment project reaffirmed its commitment to Aboriginal and Torres Strait Islander people, launching its legacy strategy and action plan. The legacy strategy intends to close the gap at Westmead to create a welcoming, safe and connected environment in the new hospital building and refurbished spaces. Parramatta MP Geoff Lee, Westmead Redevelopment executive director Leena Singh with Health Infrastructure chief executive Sam Sangster launch the Westmead Redevelopment’s legacy strategy and action plan. Westmead Redevelopment executive director Leena Singh said the strategy aimed to build trust with the Aboriginal community. “We are committed to continuing to work hand-in-hand with our community, staff and partners to address barriers to Aboriginal and Torres Strait Islander people accessing healthcare services and employment,” said Leena. If you’re interested in becoming an Aboriginal health leader of the future, details about the jobs are below. The district is looking for a program lead and director and both jobs are permanent, full time positions. Applications close 23 May 2018.